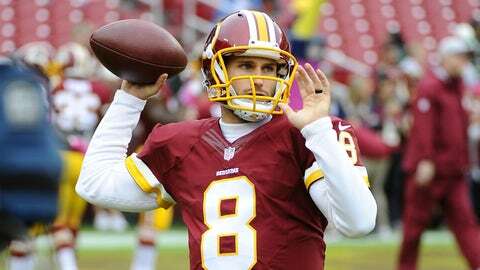 Cousins has thrown 6 touchdowns and 8 interceptions through six games in 2015. "The way that I don’t listen to what they’re saying is, I don’t listen to what they’re saying," Cousins said, per Mike Jones of the Washington Post. "I turn on NPR instead of 106.7 or 980 sometimes. I turn on, you know, HGTV instead of ESPN. I think there are times when you can intentionally block it out, if you’re asking how to do that. I don’t have a lot of social media on my phone so it’s not quite as accessible to me as maybe it is to some other guys. There are ways you can not hear it and it doesn’t do me any good to hear that." That’s a pretty nice win-win by Cousins who gets to block out noise and also pick up various bits of home-improvement techniques or learn about real-estate investment. If you’re unfamiliar and think HGTV the network is tantamount to Lifetime, I assure you it isn’t and urge you to check out "Flip or Flop" and "Rehab Addict."